Call me a hedonist, but we all deserve to spoil ourselves once in a while. In fact, I’m a huge believer that adding a bit of quality ‘me time’ to your daily routine is an essential part of self-love. And there’s nothing that says self-love quite like amazing food! I love catching up with friends over a meal – it’s such a great way to slow down time and enjoy the moment, something that’s easy to forget when you live in a busy city like London. Sometimes, a luxury is just that – sharing a meal with the people who matter the most. But if we can add a bit of fanfare to the occasion then it’s a win-win! Having moved to London two and a half years ago, I soon learned that dining out (or grabbing one too many cheeky glasses of prosecco) can quickly add up to a small fortune, but there are many ways we can all enjoy a bit of affordable luxury in the capital. Bookatable’s Feast on London, which I’ve been raving to my friends about for days, is a perfect way to do just that. With too-good-to-be-true deals at London’s hot spots, including Michelin star restaurants, is far from a guilty pleasure. We’re talking £34 for a 2-course lunch and a Bellini at Aqua Shard, and a £42 three course meal at the stunning, Michelin star Celeste – not your average deal! After a week of jetting around between Warsaw, London and Amsterdam and a rather stressful weekend, I decided to start my Monday with a bit of a bang and booked my friend and I for a dinner at the Ritz (because, when you choose to make your Monday extra special it should be all or nothing, am I right?!). Dining at one of London’s most iconic dining rooms came at only £62.50 for a three course meal and a (heavenly tasting, may I add) cocktail. 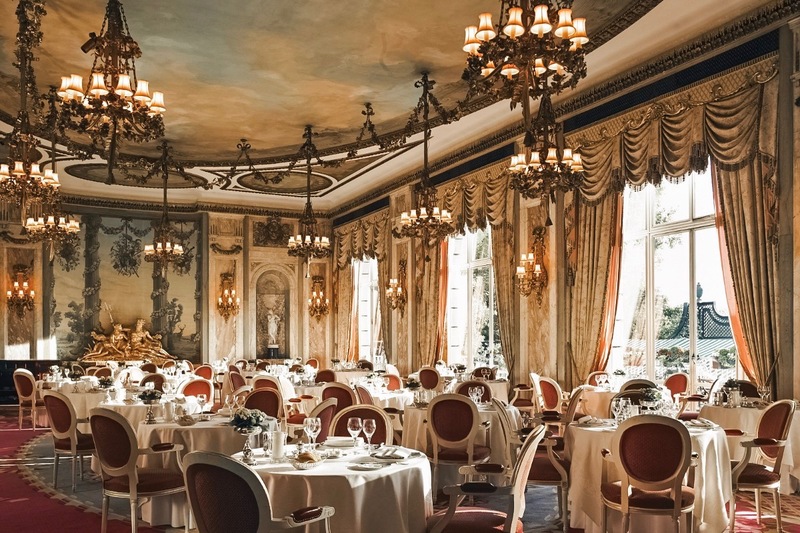 Those of you who live in or visited London and appreciate the incredible value The Ritz has to add to any dining experience will understand what an amazing deal this is! As you walk through the revolving door at 150 Piccadilly, you’re greeted by sparkling chandeliers, fresh flowers and piano music sipping through the marble corridors – just a small pre-taste of The Ritz’ staple glamour. The dining room, dating back to Renaissance and very much true to its 18th-century decor with giant mirrors dominating the wall and a stunning painted ceiling, overlooks Green Park. But there’s much more to the Ritz experience than what meets the eye – their food is sourced from high quality, organic ingredients from around the country, from Cornish moors to South West Scotland. My friend and I felt ultimately spoilt as our first meal arrived, served under a porcelain cloche for an added theatrical effect. 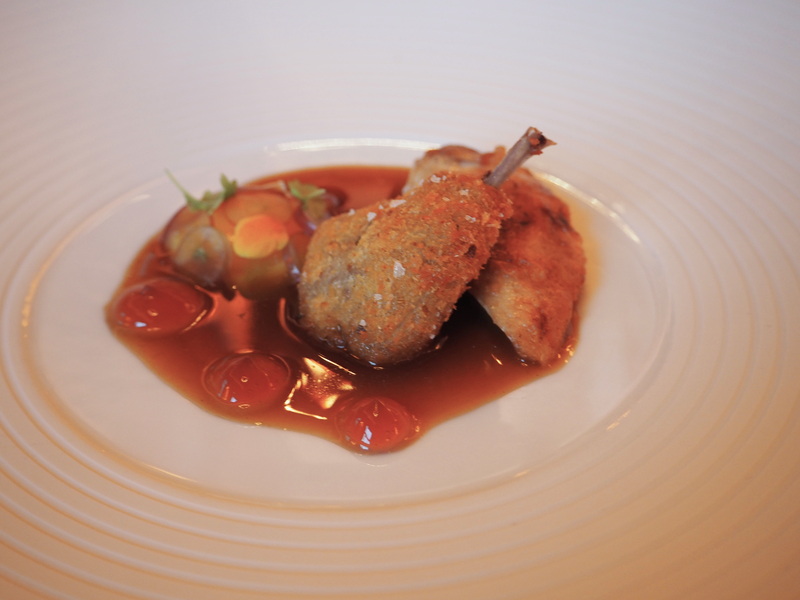 We chose Norfolk Quail with sweetcorn and verjus and Smoked Eel served with Beetroot and horseradish – both tasted absolutely heavenly and looked almost too perfect to eat! 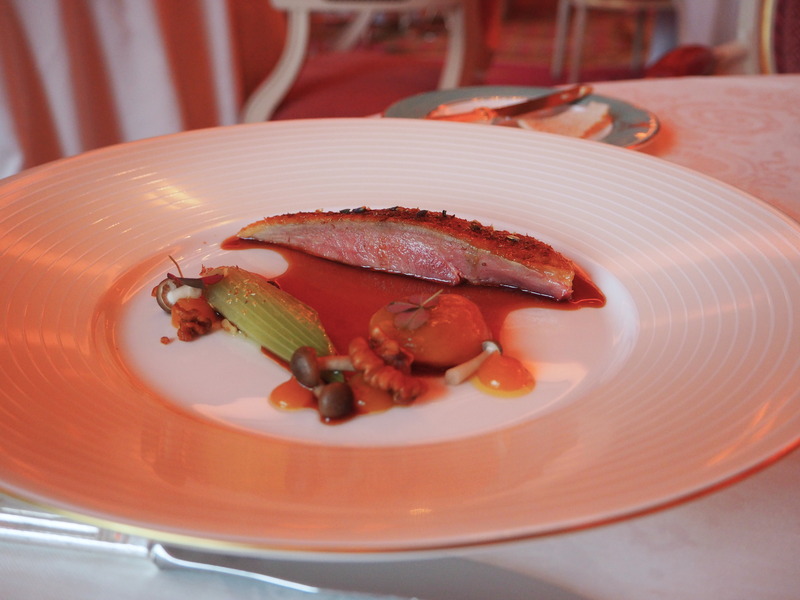 This was swiftly followed by the immaculately presented main – Bresse Duck with apricot, walnut, and fennel, and finished off with a Chocolate Souffle and Poached Rhubarb Mousse for dessert. If you too want to spoil yourself and sign up for an evening of ultimate indulgence, visit Bookatable’s Feast on London – the deals are on until 30 April so be sure to hurry!